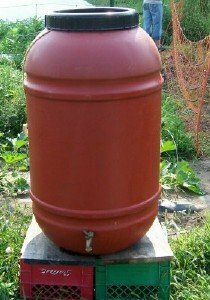 Collect your materials, and set up your barrel close to your garden. If you have never made compost, its quite simple; just about any organic plant based materials will make compost, given enough time. You can speed up compost production by mixing about 1/3 each of 'green' nitrogenous materials - e.g. grass clippings, weeds, vegetable scraps - with 'brown' carbonaceous materials - e.g. leaves, straw, sawdust - and some garden soil. Mix all ingredients a shovelful or two at a time, and add a little water as you go to keep the mixture moist. You can 'turn' the pile every 2 or 3 weeks, or just let it sit; either way you will get good compost. 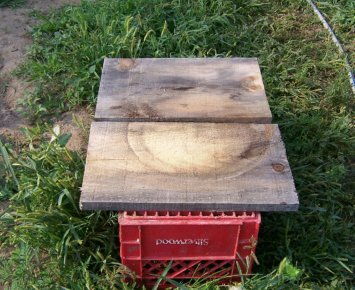 Put your compost tea barrel up on a sturdy base, making sure it is secure and level. A 55-gallon barrel full of water will weigh about 400 lbs. so make sure your base is strong and level. 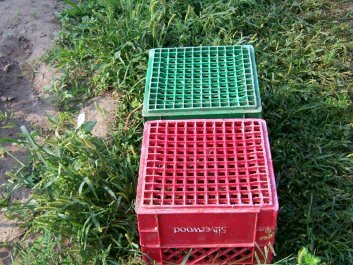 We use a couple milk crates with 1x12 lumber on top to spread the load. Once your barrel is set up securely, start filling it with water. 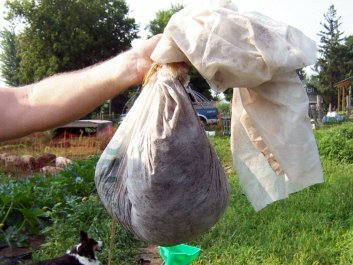 As it fills, dump your compost onto a section of row cover, and wrap and tie it with strong twine or rope. Leave enough of the rope left over so you will be able to retrieve the bundle of compost from the barrel. Let the barrel fill to within 6 inches from the top. 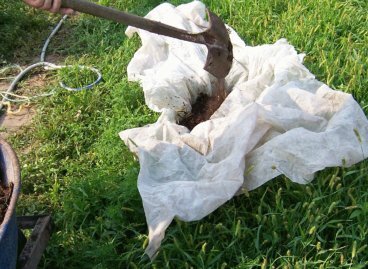 Then drop in the bundle of compost, making sure to keep one end of the rope out of the barrel. Put the lid on the barrel, and let it sit in the sun for at least a week before using. That's it for how to make compost tea, happy growing! p.s. 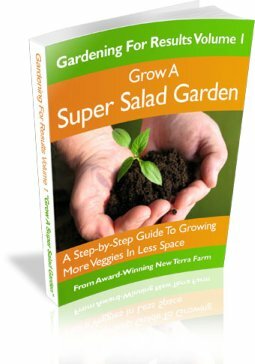 if you thought you didn't have time for a great garden of your own, get Grow a Super Salad Garden from New Terra Farm and learn how to have a fabulous productive garden in about one hour/week.